I’ll try to keep this short and sweet…..nah, just short. Angry fanboys are oblivious to the truth. Remember when Capcom was said to have 151 million in the bank? Remember when the news started a boom of YouTube videos and gaming forums covering the subject? You remember when every single one of said media all said the exact same thing as the last person with one person seemingly less knowledgeable than the last person on what they were talking about? I’ll give you a refresher: Blah, blah, blah DmC, wah, wah, wah, Make New Megaman, boogedy, boogedy, boogedy, on-disc dlc. The cow says moo, the cars go beep and internet goes stupid. So it was business as usual. And the kicker of it all is that they all said that making a new Megaman game would be the one true solution for their money problems. Ignorant people will also say that Mighty No.9 will be the final nail in the coffin. How the hell do you know? I could be wrong. Just because it did well in Kickstarter, doesn’t automatically mean it’s going to be gangbusters. I don’t want Mighty No.9 to fail but at the same time. I don’t want this game to boost the already overwhelming ego of Megaman fans constantly going around the web claiming that they know full well that Capcom is crying themselves to sleep over Mighty No.9 and the “mishandling” of Megaman. Let’s something straight here, Sonic Adventure 2, Sonic 06, Sonic Heroes etc. is a mishandling of a property, Final Fantasy X-XIII is a mishandling of a property. Do any of know what the word even means? Obviously, you don’t. Fanboys always have been and will be wrong. Because as it stands, Capcom is not going out of business like everyone predicted. If anything, business is booming somewhat. Even though, this information has been released and verified, People are still saying that Capcom is doomed. Well, that’s because nobody is really reporting it. I mean it’s a game that as of this article isn’t released in the states yet. 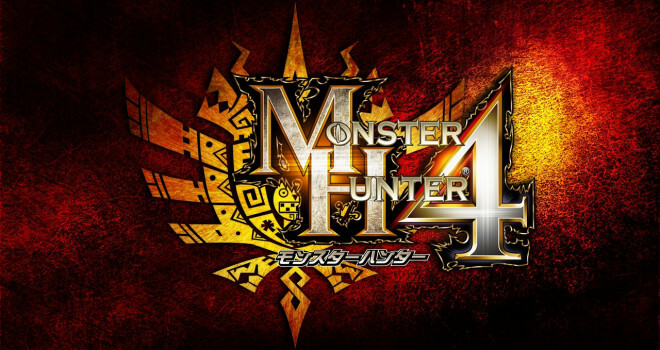 The game I’m talking about is Monster Hunter 4. I always thought no one sole game could save the company and in a way I was wrong and so were all of you. Capcom did get a little help from the console sales of Resident Evil: Revelation and Phoenix Wright 5 on the 3DS. That 151 million in the bank news is now obsolete. I’m happy for them for learning from their mistakes, and adamantly adhering to their policies. Contrary to popular speculation, Megaman didn’t save Capcom, Monster Hunter did. Sorry, If I came off as a Capcom drone. I’m not. You seem to be very mad at anyone who wanted capcom to go out of business. The only reason megaman didn’t save capcom is because Capcom is to stuck up o listen to anything their fans want. Monster Hunter is the only thing worth a damn anymore. Please educate yourself before making bold, incorrect and unoriginal statements that sounds like everybody else. Thank for reading.